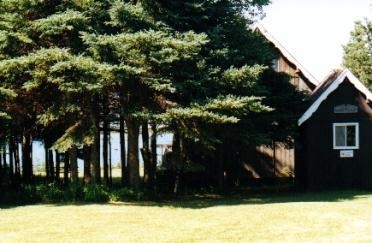 Our waterfront cottage is located on a private three acre property that includes a pine and birch woodland. 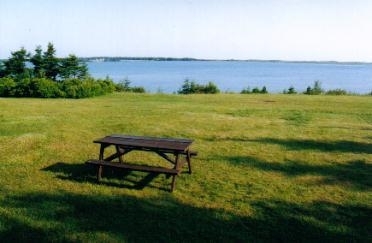 It overlooks a grassy lawn with a panoramic view of and the National Park beaches. 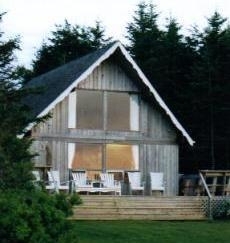 The cottage is built of British Columbia cedar planking that forms the outside and inside walls. It features a wide wraparound deck complete with deck chairs, barbecue and picnic table. 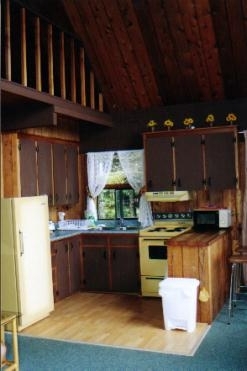 The interior of the cottage is tastefully decorated. 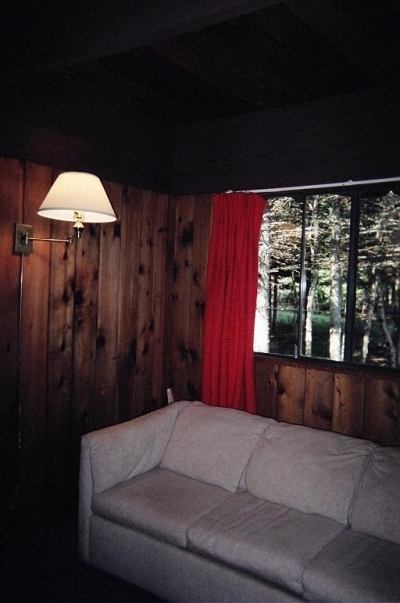 All floors are carpeted and lined drapes cover all windows. The living room has a high peaked roof and floor-to-ceiling picture windows. The breathtaking view of the bay lets you see many species of birds, the wetlands, sand dunes and the sea beyond. A compact kitchen, separated from the living room by a wood-topped food bar, is fully equipped for cooking and serving your summer meals. The bathroom, on the ground floor, contains sink, shower and toilet. Ample, good-sized towels and face cloths are provided. 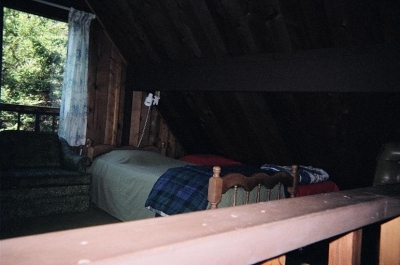 All bedrooms have good reading lamps and bed tables, plus large comforters just in case it gets cool in the evening. 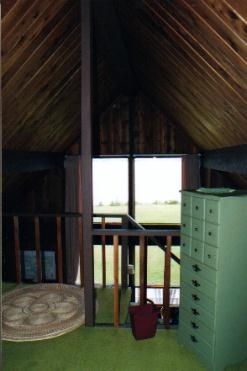 Sleeping accommodations consist of two downstairs bedrooms and a loft. The master bedroom has one Queen size bed, and the second bedroom has one single bed. This room also has a satellite TV (English and French channels) so it serves as a combination bedroom/den. The upper level or loft offers the most outstanding view over the bay. It is furnished with two single beds and two cots suitable for young children. Equipment is available for outdoor games such as croquet, badminton and horseshoes. There are beach toys for the young ones and board games for rainy days. Our house information book provides useful information about the facilities. We hope you’ll sign our guest book and tell us about your visit! 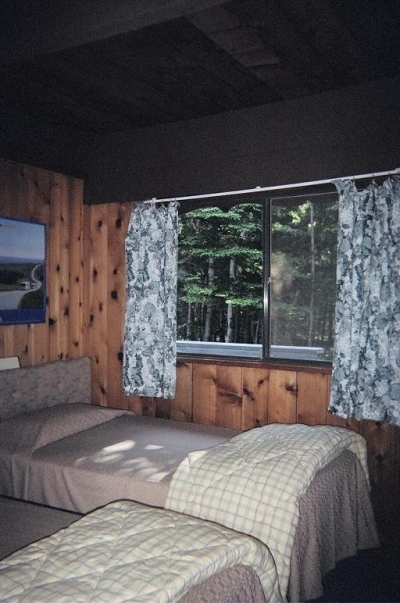 In-season, the cottage is normally rented only on a weekly basis, from Saturday to Saturday. Exceptions can sometimes be made for last-minute short bookings if the cottage is available.